Supakan’s home has only one piece of furniture: a cupboard made from cardboard and glass. It’s where her family keeps their favourite, most precious belongings—like Supakan’s letters from her sponsor. Why are letters so valuable to sponsored children? We asked three children from around the world to share why their sponsor’s letters mean so much. When the heavy rains fall in the small village of Kotah, high in the mountains on the Thai-Myanmar border, making the roads impassable, 10-year-old Supakan asks her older brother or sister to read to her the letters she receives from her sponsor. The letters are full of descriptions about life in a foreign land, pictures with smiling children her age, and encouraging Bible verses about God’s love for her. Supakan always repeats each Bible verse after her sibling reads it. She can almost recite all the verses her sponsor has sent her. “My favourite thing to see the pictures they send me,” says Supakan. The pictures show a story of the family that have been sponsoring her since 2012. In some, they’re on a beach; others show a ski-trip in the mountains, things Supakan has never seen before. Once they are finished reading, Supakan carefully reorganises her precious letters and puts them away her family’s only piece of furniture: a glass-and-cardboard wardrobe. There they will be safe from the relentless rain and the humid, jungle air. She wedges them between piles of blankets, and the glass door, ready to be pulled out again when Supakan wants to hear another story or see the pictures of the people across the world who love her and send her letters. Supakan loves writing letters in response, answering questions and telling her sponsor family all about life in her village. Writing and receiving letters is one of her favourite parts of being a sponsored child. Supakan can’t wait to see what new lessons, pictures, and encouragement the next delivery may bring. For 13-year-old Nathnael, receiving a letter from his sponsor is like meeting them in person. Whenever he attends the Compassion child development centre, Nathnael asks if there is a letter from his sponsors. When a letter arrives, Nathnael is so excited. He reads and re-reads the letter with his grandmother, explaining to her what the letter says and what the photos mean. Nathnael loves to read about his sponsor’s family, learning what they like and about their country too. He writes to his sponsors answering their question about his country, his family and asks them to pray for him. Mrs Birtukan, Nathnael’s grandmother, says it’s a joy to see her grandchild get excited about a letter from his sponsors. She patiently listens to him as he reads the letters. Afterwards, Nathnael and his grandmother add it to their special storage space: a leather bag kept in the cupboard. 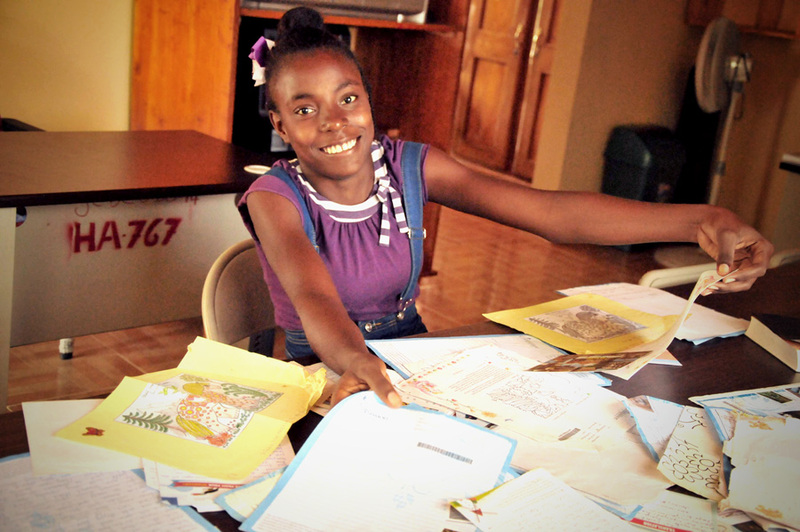 Eighteen-year-old Fedeline loves receiving letters from her sponsor in the Netherlands. Fedeline lives in Lascahobas, Haiti, and has attended the local Compassion child development centre since she was 10. Children attending the Compassion child development centre will write at least two letters to their sponsor each year. Children like Fedeline, who regularly receive a letter from their sponsors, write a reply to the letters they receive. Receiving letters from her sponsor has meant much more to Fedeline than simply having an overseas pen pal. Fedeline treasures her letters so much that she stores them in a locker in her bedroom that only she has access to, away from the prying hands of her siblings. She loves to reread her sponsor’s words and hopes that someday, she will be able to show them how much those letters meant to her. 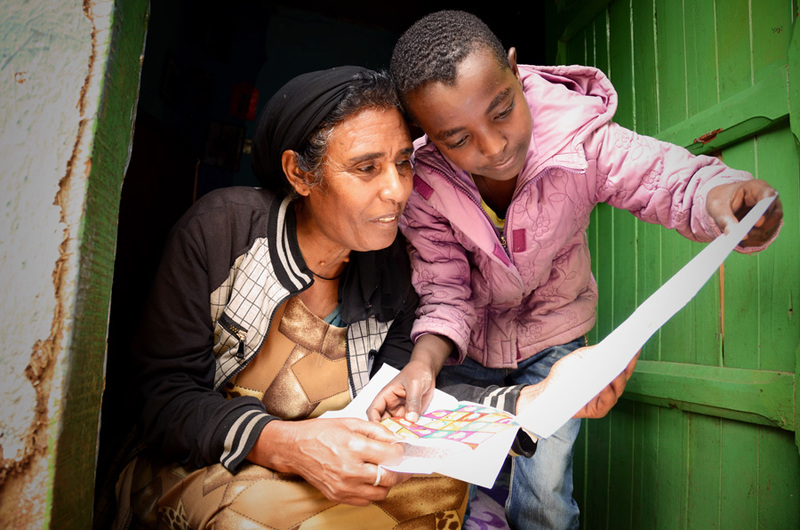 Letter writing is a wonderful way to build a personal relationship with your sponsored child. It gives you the unique opportunity to speak encouragement into the life of a child living in poverty. Write to your sponsored child today.